North Fork Bath CollectionNorth Fork Bath Collection, alt="North Fork Bath Collection, "
The Essential Bath Set includes 2 hand towels and 2 bath towels. The Luxury Retreat Bath Set includes 4 hand towels, 4 bath towels, and 1 Guerneville Bath Mat. Print All the quality you expect from a classic Turkish towel, but with a textural jacquard twist. Lush and absorbent without feeling bulky, it’s loomed from pure Turkish Aegean cotton to be invitingly soft and gentle on the skin. For a splash of style, yarns in contrasting hues are woven together to create a heathered look. 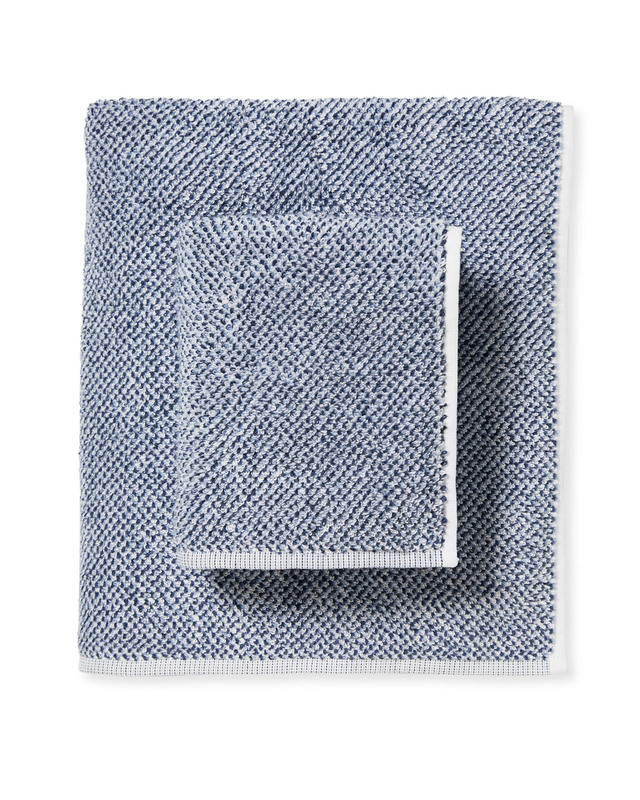 Our fresh take on a Turkish spa towel with a textural jacquard weave. A narrow trim creates a clean look. The Essential Bath Set includes 2 hand towels and 2 bath towels. The Luxury Retreat Set includes 4 hand towels, 4 bath towels, and 1 Guerneville Bath Mat. The Smoke Luxury Set comes with a Smoke Guerneville Rug and the Navy Luxury Set comes with a Navy Guerneville Rug.